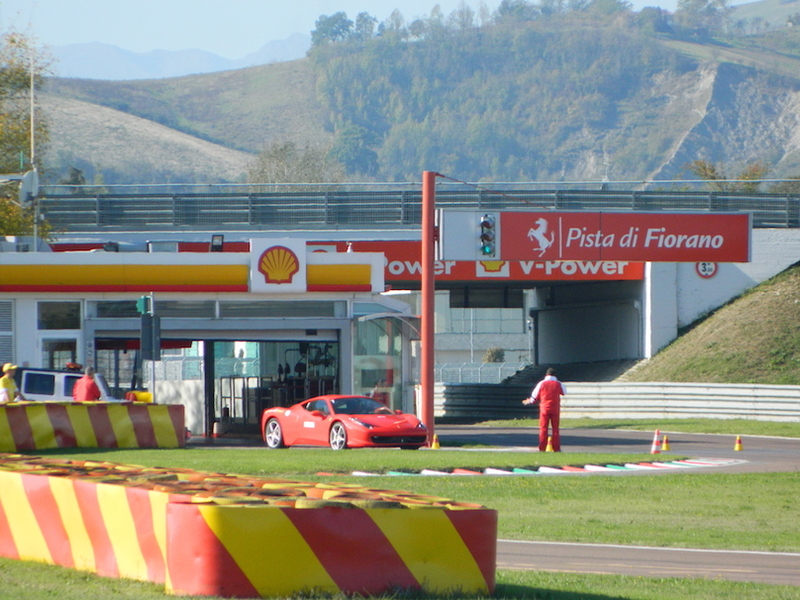 In May of 2013, I came across a Shell Oil competition called the “Ultimate Enthusiast”, whose grand prize was a week in Italy with 2 days at Ferrari, touring the factory and driving the Fiorano track. I am a dyed-in-the-wool supercar and Ferrari enthusiast, thanks to the first TV show I ever watched, the 1979 Italian Grand Prix. I was introduced to the captivating skills of Gilles Villeneuve and his magnificent red Ferrari, and thus I was hooked both on Formula 1 and Ferrari from an early age. This passion inspired me to create my own Supercar TV show called “First Rides” which I have developed and am now pitching to networks. 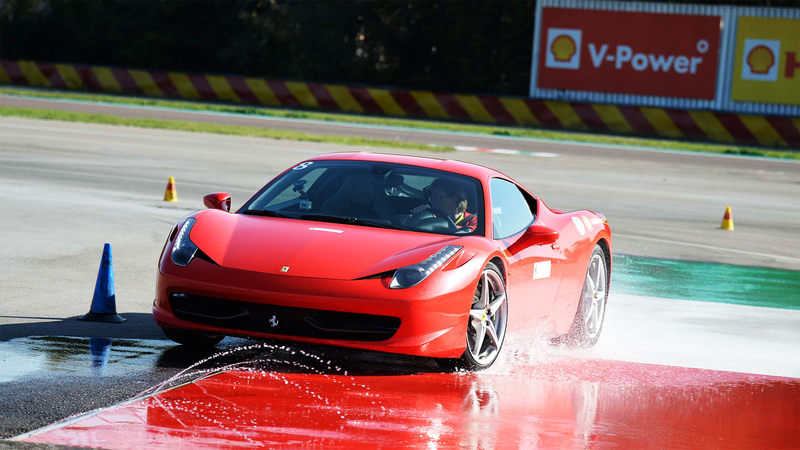 In May of 2013, I came across a Shell Oil competition called the “Ultimate Enthusiast”, whose grand prize was a week in Italy with 2 days at Ferrari, touring the factory and driving the Fiorano track. 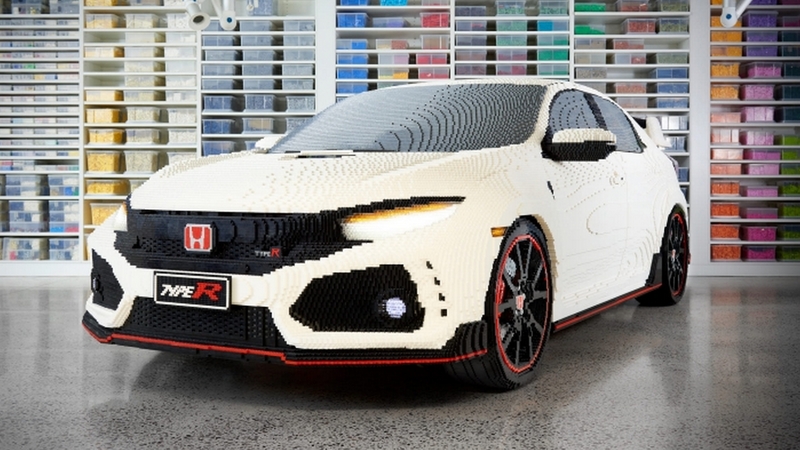 If there was ever an ultimate supercar competition to win, this was surely the one. When the Friday passed for announcing the winner I was heartbroken. On Monday morning, as I was going to visit my wife in hospital, my phone rang. I let it go to voice mail. When I checked the message it was the PR firm organizing the competition calling to tell me that I had won. The winners email had been sent on Friday, but went into my junk mail. Let that be a lesson to always check your junk mail. I rushed to tell my wife the good news. October 13, 2013 saw myself and my wife setting off for a fortuitous late honeymoon, and a supercar enthusiast’s dream vacation to Italy. No world travel is complete without plane delays, missing baggage and ultimately food poisoning. Arriving well off schedule at 3am in Bologna airport we were greeted by a driver who whisked us off to our hotel. On the way out of the airport there was a Lamborghini Aventador on display, now that’s the way to say welcome to Italy. An unwelcome experience though, was a spot of food poisoning which put the whole Ferrari experience in serious jeopardy. 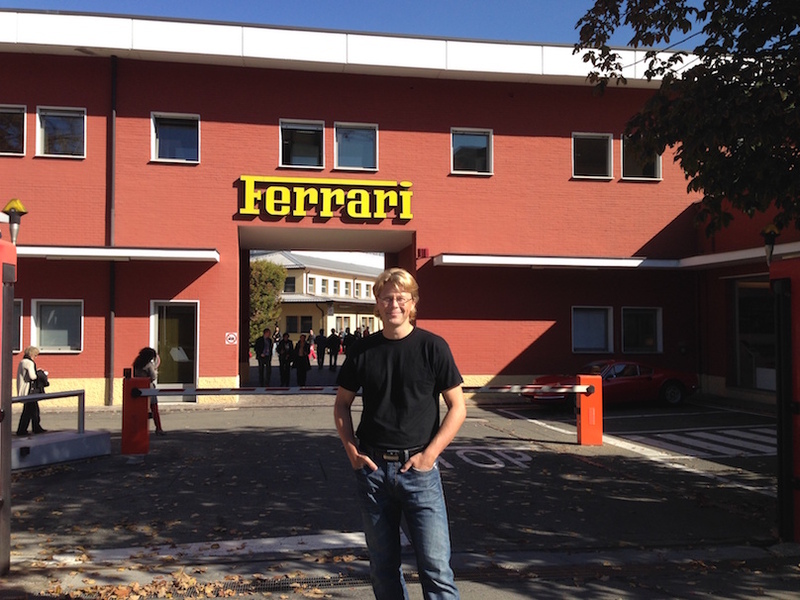 Two days later we arrived at the Hotel Maranello Palace which is a stone’s throw away from the Ferrari factory. 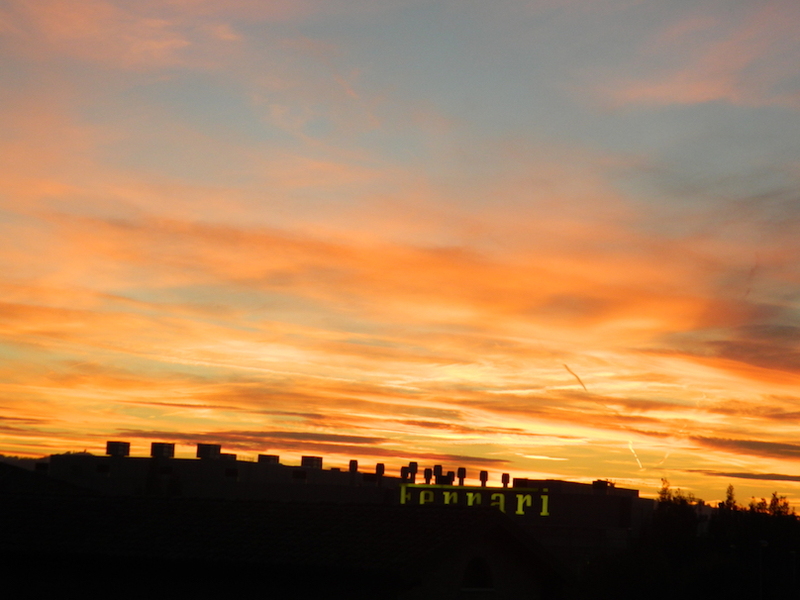 I could see the large Ferrari sign silhouetted against the magnificent sunrise, then I rushed off the washroom again. That was the start of our Ferrari experience. The second Ferrari experience was to have lunch at the famous Il Cavalino ristorante located opposite the famous Ferrari factory old gate, and then we would head inside for a tour of the Ferrari factory. Sadly I only spent 15 minutes inside Il Cavalino, then the rest of the time I was dashing into the washroom or sitting outside staring at the famous Ferrari factory gate. It was a surreal experience, to be so close to a location I have googled-mapped for so many years and now due to food poisoning might not get to fully enjoy and appreciate the experience. Fortunately, two hours in the fresh Italian air helped to clear my head and my stomach and by the time the group was headed over to the factory I was hale and hearty, a Ferrari miracle. With us were a group of Shell sales reps who had achieved significant sales in their territories. We all boarded a bus and headed into the heart of the factory watching Ferrari history pass by. First stop was the foundry where engine molds are cast, both for the V8 and V12 engines. Ferrari has won design awards for its building architecture and was voted the best company to work for in Italy. So no smelly, crowded or messy building, instead a large open building with spotless floors and surprisingly lots of greenery. The greenery helps with the oxygen levels and adds a sense of calm to the environment. Ferrari workers in the engine foundry building all seemed very calm and purposeful in the execution of their jobs. Indeed this focused calmness was to be found throughout the factory compound as we continued our tour. As we waited to board our bus to take us to the next building on the tour a blood red prototype LaFerrari hypercar parked right beside us. I had seen pictures, but to have the actual car beside me was absolutely thrilling. It was with some reluctance that I got back on the bus, fortunately I later saw two more prototype LaFerrari driving round the factory. Our next stop was the Engine Assembly Building for the V8 and V12 engines. 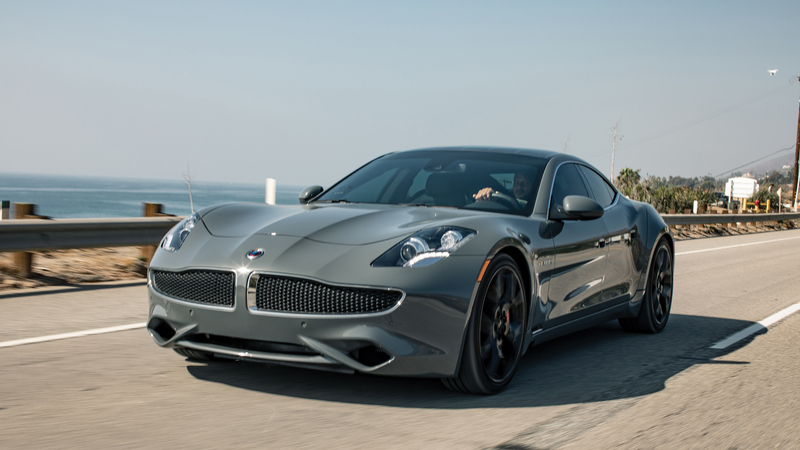 The V12’s are constructed by a small number of specialists who stay with the build process until completion. 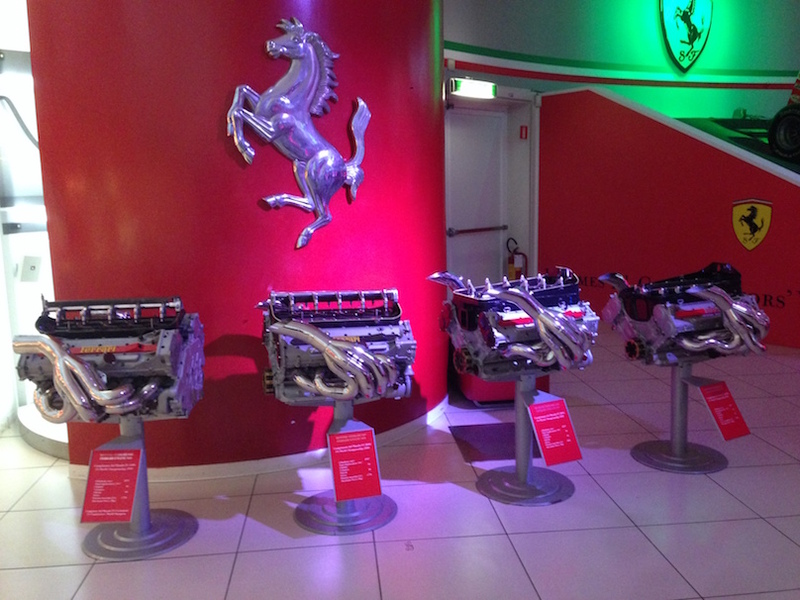 It was a privilege to witness the birth of a Ferrari engine. The birth of a Ferrari car was the highlight of the next building we visited which was the Assembly building, The V8 Ferrari California, and Ferrari 458 (2013) were assembled on the lower floor, while the mighty V12 destined for the F12 and the FF came together on the top floor. Each work station along the line lowers, or raises to conform to the height of the individual working in that section. Touring the factory my senses were overloaded. At one point our guide had us squash up against a wall as a robotic pallet carrying an entire drive shaft effortlessly glided by us. I was not sure how I would react touring the production floor, however witnessing the first time a new Ferrari 458 engine was started was highly emotional. 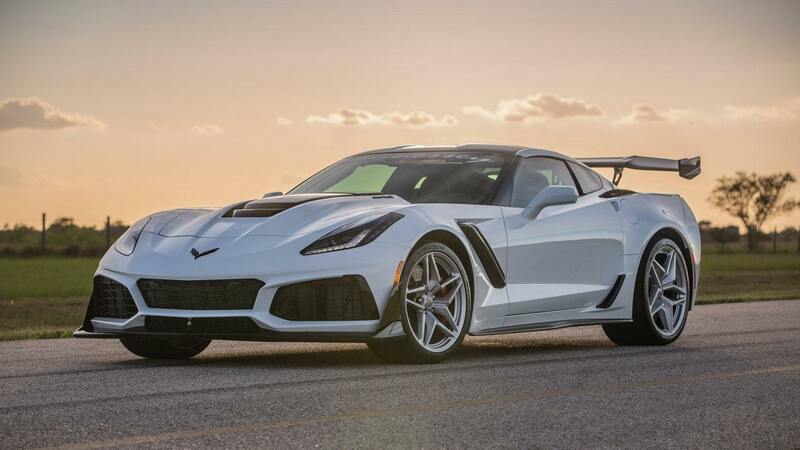 We witnessed the birth, if you will, of a red Ferrari 458 Italia, a red F12 Berlinetta, and a slightly rarer yellow Ferrari 458 Speciale, its production beginning only 3 weeks prior. Sadly we were was not allowed to take any photos while on the tour, though in some ways this forced me to drink in all the details of my experience. Even today I can effortlessly recall a multitude of images. For the formula 1 fanatic inside me touring the Formula 1 race car building was pure nirvana. We were only permitted to explore the area for a few short minutes but were privileged to see the chassis of the race cars that had just returned from the Japanese GP. I am a huge Formula1 fan and the last building on the tour was the Clienti Program, where in a large room sat row after row of Ferrari Formula 1 thoroughbreds, with famous names like Alonso, Raikkonen, Berger, and Schumacher still adorning the sides of their cockpits. These ex Formula 1 machines are now owned by wealthy Ferrari enthusiasts. These cars must be five years out of competition to be part of the program. Ferrari has also created track only versions of its Enzo supercar called the FXX and the Ferrari 599 now called the 599 FXX. Traditionally Ferrari stores these cars, however owners are free to take them home. The only stipulation is that before a track day the cars must be checked over by a certified Ferrari mechanic. The track only version of the LaFerrari FXXK had not yet been developed, but that is the one track car above all others I want to drive. My mind was still reeling from a day at the factory as we concluded our evening with a dinner at the famous Montano ristorante. Ferrari memorabilia adorns every wall; pictures of Ferrari legends peer at you from all angles. At dinner we were introduced to our driving instructors who would accompany us the next day as we drove Ferrari 458’s at Fiorano. Simply one of the best nights of my life, great food, wonderful company, and great stories. Waiting for us the next morning at the famous Fiorano test track were nine gleaming red Ferrari 458s, ours for the day. First we walked by Enzo Ferrari’s famous house No 27, then we proceeded to a drivers briefing. I felt very much like a Formula 1 driver – haha. We were broken up into smaller groups, fortunately my wife was in my group. 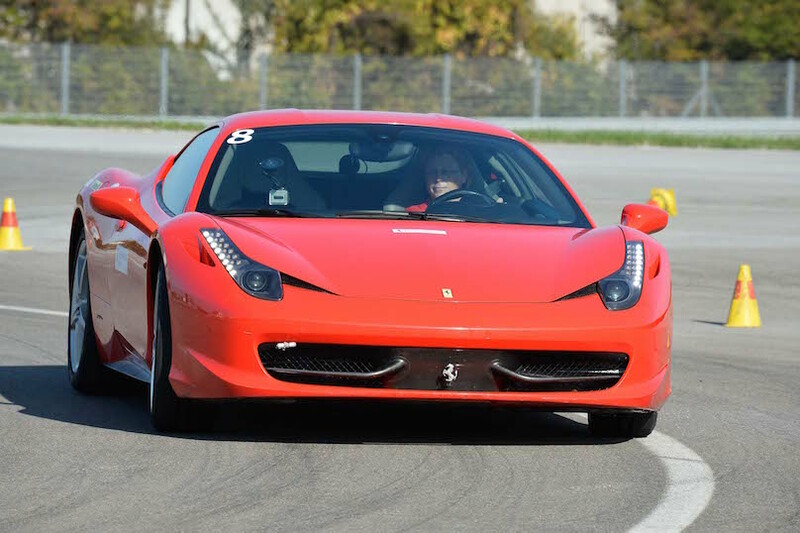 We went out for an orientation lap with an instructor at the wheel of a 458. I could not believe it was a gorgeous, perfect, sunny day and here I was being driven around Fiorano in a Ferrari. My first lap behind the wheel was a mixture of nerves and unbridled enthusiasm. The biggest memory is of my instructor saying, “Go! Go!”, then seeing the world go by in a blur. The transition from street driver to circuit driver took a few laps, but with the instructor’s encouragement, confidence began to build and I began to push the car faster and faster. I confess to a healthy dose of fear surrounding me at all times as I pushed my driving boundaries. The instructor’s “Flat! Flat!” Followed by “Brake! Brake!” was the theme of the day. The highlight was driving a lap in which our telemetry was recorded so we could compare on a printout various aspects of our driving versus our instructor’s. I got a “Bravo!” from my instructor of which I was rather proud. Even prouder, when telemetry showed my average speed of 155km was faster than my wife’s at 153km. In all I did six runs for a total of 24 laps of Fiorano and driving into the pits after the telemetry lap brought a flood of images of F1 cars and F1 legends driving into the very same garage: Villeneuve, Berger, Alesi, Schumacher, Alonso, heady company indeed. When I see images of Fiorano now, I feel in a small way, part of that famous circuit. 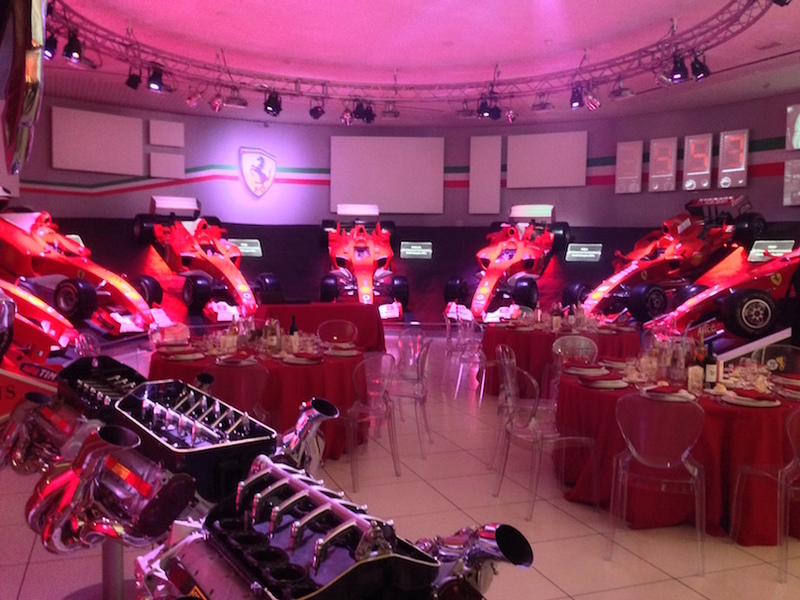 The final event of this magical tour was a private dinner held after hours at the Ferrari Museum in the Hall of Victories. Large TV screens played out the history of Ferrari Formula 1 glory, while in front sat the winning Ferrari cars from 7 time Ferrari Formula 1 world champion Michael Schumacher, and 2007 Ferrari world champion Kimi Raikkonen. Behind us sat row upon row of Formula 1 trophies. It was delightful to see the trophy from the Canadian Grand Prix amidst the host of trophies from all over the world. After dinner we toured the empty museum at our leisure, and for me the highlight was seeing my hero Gilles Villeneuve’s Formula One car that started me down my supercar and Formula 1 loving path. This was a day where I never looked at my speedometer once, where I learned the true meaning of hard breaking and where every lap was a moment in history for me. This was a trip of a life time and the fulfillment of a long cherished dream.